Event in English. | Light refreshments provided. Read "An Introduction to UNESCO's Updated Recommendation on SCIENCE and SCIENTIFIC RESEARCHERS". Learn more about Scholars at Risk (SAR) uOttawa. Read "Defining Science and Scientific Researchers: It's a Whole New World" in University Affairs. 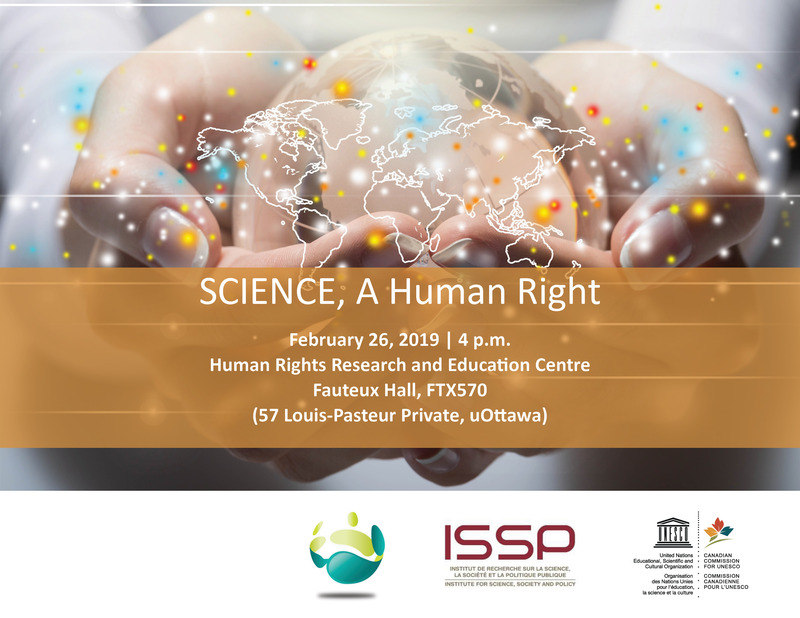 "The Universality of Science and the New UNESCO Recommendation on Science and Scientific Researchers"
"Science in the Context of Social Media"
"Reflections on Implementing the UNESCO Recommendation in China"